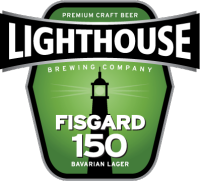 VICTORIA, BC – Lighthouse Brewing has just released Lighthouse Fisgard 150, a new beer commemorating the 150th anniversary of the Fisgard Lighthouse, located just outside of Victoria. The beer is described by the brewery as a crisp and clean Bavarian-style lager, and is also the first Lighthouse brand to feature their new logo and packaging design. Lighthouse Fisgard 150 is available now in Victoria, with distribution throughout Vancouver Island and the Lower Mainland of BC to follow. A delicious, crisp, refreshing beer! Why, I’m having one now! So too should you.